There’s an app for that. It’s a phrase so catchy that Apple actually trademarked it in 2010. Catchy, but also very true. There is an app for that. And that. We rely on them for everything from communication to finance, from health to entertainment. When we need to do, see, learn, connect, or remember, many of us instinctively turn to the App Store or Google Play. Apple hosts over two million iOS apps, with over 130 billion downloads, and they’ve doled out $50+ billion to developers in the past nine years. Google carries nearly 2.8 million Android apps, with over 50 billion downloads. Despite the fact that Android controls nearly 87% of the global smartphone market (iOS has about 12.5%) and Google Play currently sees double the downloads, the App Store typically has almost double the revenue of its Google counterpart. iPhone users are more willing to pay for quality apps. Industry experts believe the global app market will be worth $102 billion by 2020. Others predict it’ll be closer to $189 billion including in-app advertising. 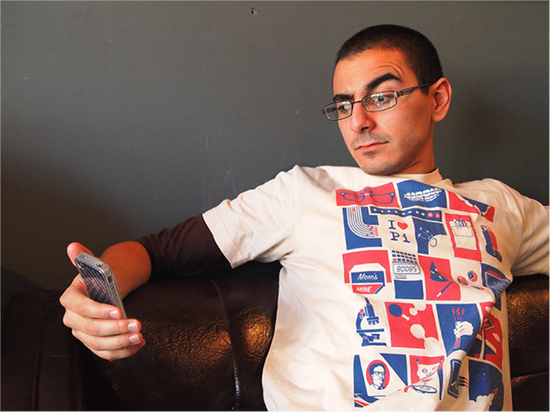 25% of iOS developers and 16% of Android developers earn more than $5000 each month. The numbers are there. The demand is there. The potential for good revenue is there. The only thing missing, of course, is a guarantee. But without risk, there is no reward. So, let’s assume you’ve got a killer idea for the next big thing in the appverse. You have to decide which platform to start with – there are plenty of pros and cons for both iOS and Android – and build it (either yourself or outsource to someone else). Then you test, tweak, and polish. Finally, you submit it for approval. It usually takes 1-2 days for Apple, while Google gets back to you within 2-4 hours. Once approved, you’re open for business. You can sit back and wait for the downloads and cash to start rolling in, right? You’re probably making at least a few of these common mistakes, and they can tank your app installs right under your nose while you pull your hair out trying to determine what’s wrong. Here’s what’s wrong, and how to fix it. How many times have you downloaded and installed an interesting-looking app, played around with it once (or never), forgot about it completely, and then uninstalled it the next time you wanted to free up some space on your phone? We all do it. A lot. An American smartphone owner uses 27 apps on average each month. Not bad. But, according to the latest research, about 30% of global app installs end up uninstalled. Three out of every ten. How do you make sure your app is one of the lucky seven? Engagement. It’s the secret sauce. If you treat the initial download as the end of your work, you’re throwing away potential and letting users walk away before they become rabid fans. Localytics found that the more a user engaged with an app in the first 30 days, the less likely they were to uninstall it. Your job is clear: get them to engage. Reach out. Connect. Only one session in that first month? There’s a 75% chance they’ll bolt. 11 or more sessions, and that number plummets to a tiny 14%. Which would you prefer for your app? They recommend what they’ve dubbed the 3×3 Rule. Get users to engage in three sessions within the first three days. Do that, and your retention rates are healthy and robust. But how? Make everything exceptional and easy: the installation, the onboarding, the engagement, the user experience, and of course, the app itself. Use in-app messaging to gently guide them through onboarding (and keep it simple and quick…no one likes an onboarding process that requires tons of info and time). It leads to 2-3.5x better retention and nearly 30% more sessions. Harness the power of push notifications to remind users about your app (you’d be surprised how many people will return to it with just a quick reminder, or bonus level, or whatever), update them on new features, or just to say “hi there.” Leanplum found that push notifications can increase retention by 20% (or as much as 7x if you send them at personalized times). An install is not the end of the game. It’s not even the end of the half. It’s just the start. Users want attention, messages, and connection in addition to a quality product. They want and need a certain level of engagement to keep your app, use your app, and recommend your app (which means more installs). In-app messaging combined with push notifications keeps you on their radar. An app – even a free app – is just like any other product or service. You need to know exactly who your ideal user is before you can design something perfect for them, and get it in front of them. Too many developers forget that business truism in their rush to bring their app to market. Don’t be one of them. Starting with the end user firmly in mind will influence your marketing, your messaging, your communication, and the app itself. Consider your app: what does it do? What’s it good for, or how does it fulfill a need or want? Once you know that, determine for yourself what group of people would benefit most from it. That’s your target market. You may have secondary and tertiary groups, too. But you’ll want to go after your primary group with gusto. They’re the ones most likely to install it, keep it, and use it. And according to the Pareto Principle, even if it’s a small group, they’ll still be responsible for the bulk of your downloads and revenue. Millennials want something different from an app than does a Baby Boomer, or a university graduate between the ages of 30-45. So too will you find them at different places and platforms online. Know your user. Design for them. Deliver it to their digital doorstep. If you want to sell – and even if you’re giving your app away for free, you’re still “selling” them – you first have to understand them inside and out. Reviews are a blessing and a curse. A good one can give you a boost, but a bad one can keep you down. It’s not possible to keep everyone happy. Regardless, you need them. In the modern digital age, consumers look to reviews to support their decision, and as social proof. No reviews is worse than negative ones. Are you encouraging reviews from your users? Are you doing everything possible to ensure their experience is a fantastic one (and therefore ensure they’ll be more likely to rave about it)? You absolutely must be. Both the App Store and Google Play feature reviews right on your app page. Front and center. 92% of consumers read them. And 88% of people trust them as much as personal recommendations. No reviews is a big red flag, like an empty restaurant. But don’t panic if you get a few bad ones. It’s not the end of the world. In fact, 68% trust reviews more if they see a mix of both positive and negative, and nearly a third think they’re censored or fake if they are all glowing. 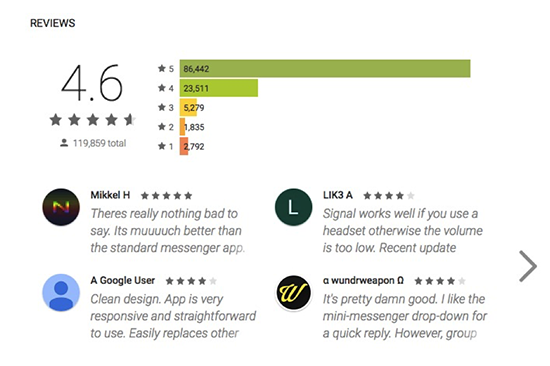 Besides, bad reviews are an opportunity for you to improve your app. Use it. And let’s not forget the nice little SEO bump reviews can provide as well. So encourage. Use your in-app messaging or push notifications to ask for a review (most people are happy to when asked). Offer an incentive – a discount, special feature, or whatever – in exchange to sweeten the deal. In the early days, you may not have a lot of users to ask. Instead, approach people close to you such as beta testers, friends, colleagues, family, and clients. Reviews are like online life-blood for so many reasons. Actively go after them. Remember the old adage: that which gets measured, gets managed. If you have a website or blog, you’re no doubt monitoring its acquisition, audience, behavior, and conversions with a product like Google Analytics. Your app should be no different. Services like Leanplum, Localytics, and App Annie provide that same kind of data for your mobile application. Gain valuable insights about engagement, retention, uninstalls, revenue, and more. Until you have data about why people are uninstalling, you have no hope of fixing the issue. Is there one particular level where everyone is disengaging? Maybe it’s too difficult. Are the majority bouncing from one specific page of your onboarding process? Perhaps it asks for too much, or looks suspect, or would be bolstered by some sort of social proof. Are tons of people installing but then uninstalling without ever having opened your app? You need to use push notifications and retargeting to remind them why they should tap your app right now. Get what you need to make informed decisions with mobile analytics. Without it, you’re flying without instruments. You only get one chance to make a first impression. And if you release an unstable, buggy mess of an app to the world, what kind of impression does that make? Don’t release it until it’s ready. And you won’t really know if it’s ready unless you beta test your baby. 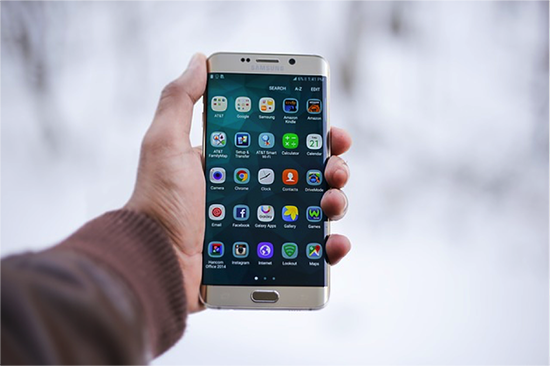 Whether you’re building for Android or Apple, a beta test allows a small group of people to test your app out and provide feedback before its official release. No one expects perfection at this stage, and the community is genuinely concerned with helping developers improve their product. Not using or underutilizing beta testing cycles is a huge mistake that will cost you downloads. A major issue during beta testing is identified and fixed. A major issue during wide release? People leave scathing reviews and 0-1 stars. Take your pick. The feedback is tremendously valuable. Find out how real people in the real world react, engage, and use your app. Ask specific questions. Get honest answers. There are many ways to find beta testers, and many third-party services like HockeyApp to help you do it right. You can improve everything from the programming to the color scheme, the user experience to the name itself. Get reactions to proposed changes and redesigns, appearance on different screens and devices, and more. Quality, bug detection, word-of-mouth and buzz, usability, and overall performance are all improved with a well-planned beta testing cycle. 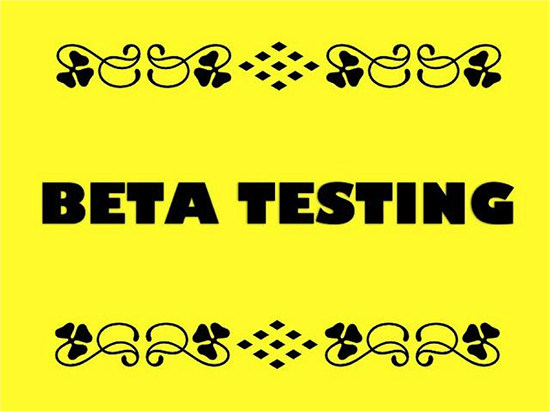 Beta testing is to an app what a traditional focus group is to, well, everything else. You wouldn’t dream of ignoring SEO on your website, right? Why then would you ever just slap your app page together and be done with it? 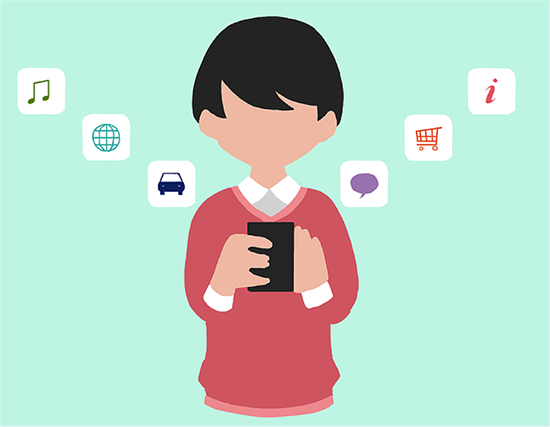 ASO – app store optimization – is crucial if you want to be found amongst the more than two million other apps vying for attention on each platform. A poorly optimized Google Play and/or App Store product page can cost you hundreds or thousands of downloads. After all, they can’t install your app if they never find it. They won’t install it if the page is drab, dull, and boring. 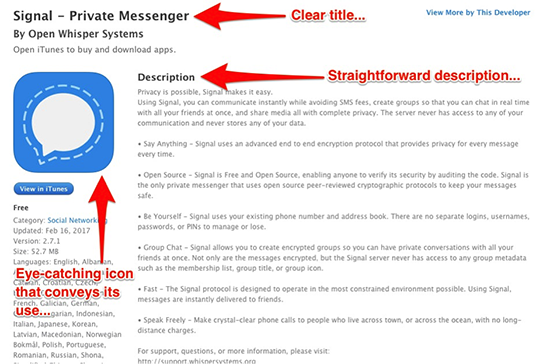 Icon – Your icon should visually convey what your app is all about, and look stunning while doing it. Stick to no more than three colors to avoid busyness, avoid words and complicated images, and review the platform guidelines (Apple requests icons at 1024×1024 pixels, while Google asks for 512×512). Your icon and title need to make a powerful and magnetic first impression. Check out the top apps in each category to see some great examples. Title – The name of your app should be memorable and clearly explain what it does. There is evidence to suggest that apps with a relevant keyword in their title rank higher than those without one (more than 10% higher is some cases). Don’t exhaust yourself trying to come up with a clever title. Clear trumps clever every time. Description – Your app description is your sales pitch. What does your app do, and how does it benefit your users? Include a concrete CTA. The first 2-3 sentences really need to hook them. Remember that Google Play uses the text on your page (title and description) to identify your keywords, so scatter them naturally throughout, but avoid the temptation to keyword stuff…some studies suggest repeating each keyword five times is ideal. Keywords – Include researched and targeted keywords to help your app rank in the platform search results. As much as 67% of downloads come from organic on-site searches, so choose your words carefully. A tool like AppTweak can provide keyword suggestions, recommendations, volume and competition numbers, and list those working well for similar apps. The App Store has a keyword field (100 characters) where you can simply list those that you want to target (separated by commas). Google Play relies on analysis of your on-page text. High quality screenshots and video – People need to see your app in all its glory. Give them HD screenshots and video so they can experience it before having to download it. While these have no effect on your search ranking, they obviously influence someone’s decision to install or not. You can include up to five screenshots for Apple, and eight for Android. Both the images and video should feature your app’s best features and display your app in action. Give them a true virtual experience. You could A/B test different items – images, description, app title – to find the combination that drives the most downloads. A poor first impression – the look, the design, the name, the page as a whole – and you’ve lost them upon arrival. There’s just too much competition out there. Think about your targets. Consider your direct competition. What words and phrases do they use? What kind of graphics are working well for other apps? App store optimization is crucial if you want to succeed and not just exist on both the App Store and Google Play. Note the subtle differences between the two platforms, and make the necessary adjustments. Getting on either Apple and/or Google’s app store is just the beginning. If you stop there and assume the installs will come and continue to go up over time, you’ll be sorely disappointed. As with any product, you need to promote. You need to market. Most experts believe that page visits and backlinks do influence your search ranking on both the App Store and Play. You have to drive traffic to your page. Promote your app on your website if you have one (including a link to its app store page), and if you don’t have one, get one. People want to see that a developer is legitimate and reachable. Introduce it to your social media fans and followers. Get active on relevant forums like Quora, Product Hunt, GameDev, and other niche sites related to your app. Create teasers, videos, and giveaways to generate interest and buzz in the weeks leading up to your app release. Collect email addresses of people curious about the app in every way possible. Don’t ignore paid ad options like Adwords, Facebook, Instagram, and Search Ads within the App Store itself. They can be incredibly effective at driving traffic and increasing downloads. Guest blogging can help you spread awareness and grow your reputation. Connect with the bloggers through email. Send early invites to try your app to influential bloggers and YouTubers in your niche. Ask them for a review. Try a service designed specifically to promote apps like Keenmobi (full-service promotion) and LinkTexting (converts desktop traffic into app downloads). Add a download link to your email signature and social media bios. There’s plenty more you could do to market your app, but these ideas will have traffic coming in and get the ball rolling. Creating a quality product is step one (albeit a multi-step and lengthy process). But then the real work begins. Having an app, and putting it on an app store platform, is just the beginning. You need to work at it. Is it worth it? Absolutely. The future is mobile, and increasingly, apps are leading that charge. Once you see decent and consistent numbers – downloads increasing, uninstallations decreasing – you can implement your monetization plan (which should be planned out in advance so you can custom design an app that works with your ultimate goal…profit). Will it be a paid app, subscription-based, supported by in-app ads, freemium, or something else? With good numbers comes good potential for revenue. But it all depends on getting those installations. Don’t leave your future profit on the digital table with these seven mistakes. Block them. Take evasive action. Nice Sujan – Thank you.